Available today on Kindle& Paperback! 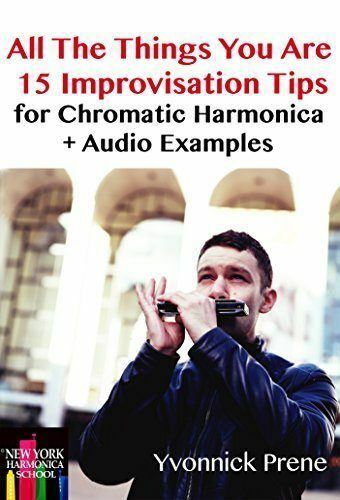 Regardless of where you are on your journey as a chromatic harmonica player, here is a practical way to improve your jazz improvisation . Quickly. Through these 15 simple exercises on All The Things You Are. Topics: Pevot Technique, Arpeggios, Modes, Guide Tones and Patterns. Prené plays all examples to help students master the harmonica — all available to download from a URL (web link) included inside.